Hi everyone, What a day. Its absolutely hammering down with rain here and has been for hours. Definitely the sort of day that makes you want to stay in, turn up the heating and get crafting. If you're in need of some inspiration Graphic 45 are sharing some card making ideas from their design team. There's some lovely Valentine ideas from Anne, a beautiful Botanical Tea idea from Alberto and my chic Couture card. 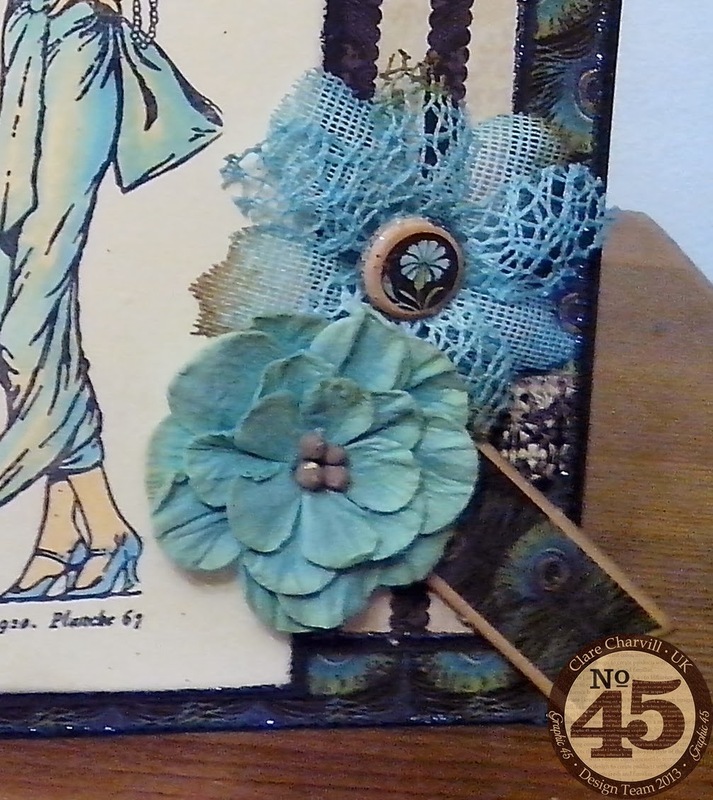 I love the blues in this paper collection and for my card combined stripes, peacock feathers, chipboard pieces, art glitter and Petaloo flowers and lace with the gorgeous stamped image from Couture Stamp Set 1, coloured with colic markers. 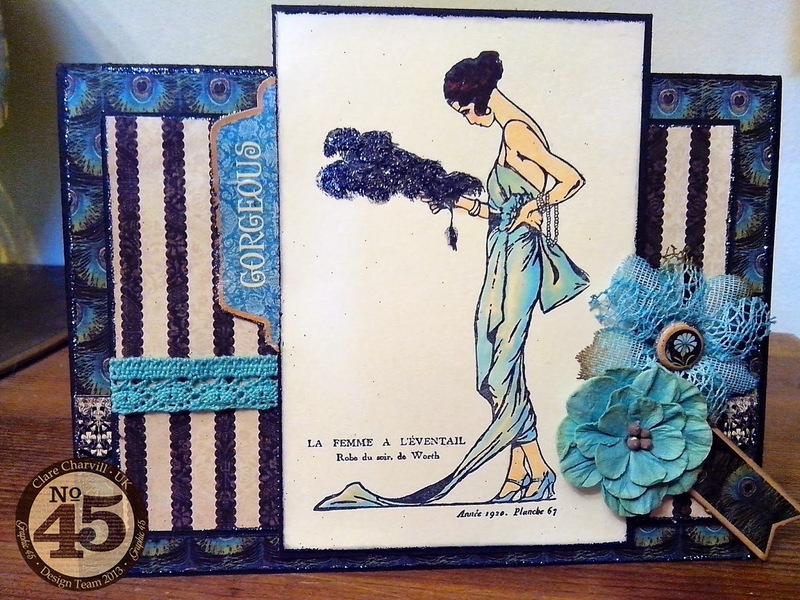 Not a complicated card to make but really gorgeous on the eye. Here's the supply list if you fancy making one yourself. The card blank is 7" x 5". Just lovely Clare! One of my favourite paper lines from G45. This is gorgeous Clare, I love the image and beautiful flowers. 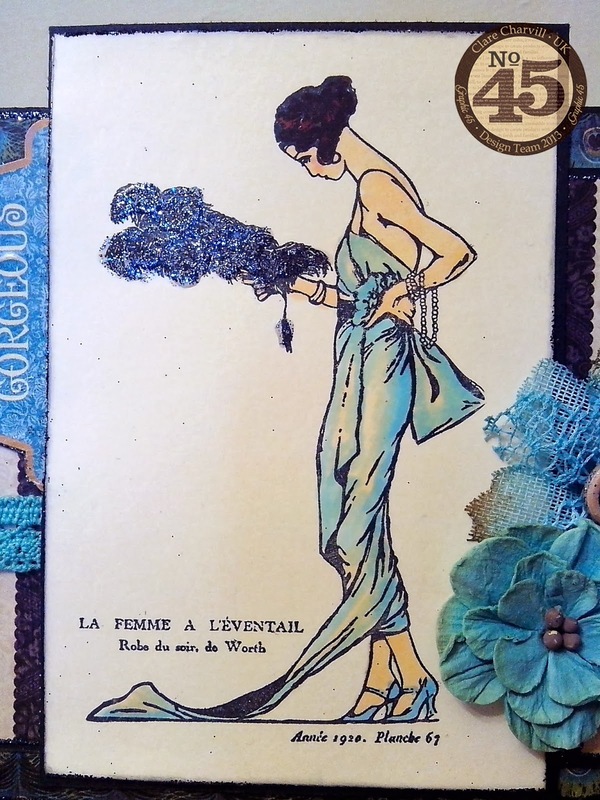 Hi Clare, This card is stunning, I love the papers and the stamped lady is stunning, so elegant and vintage and she is so beautiful, your colouring is gorgeous.